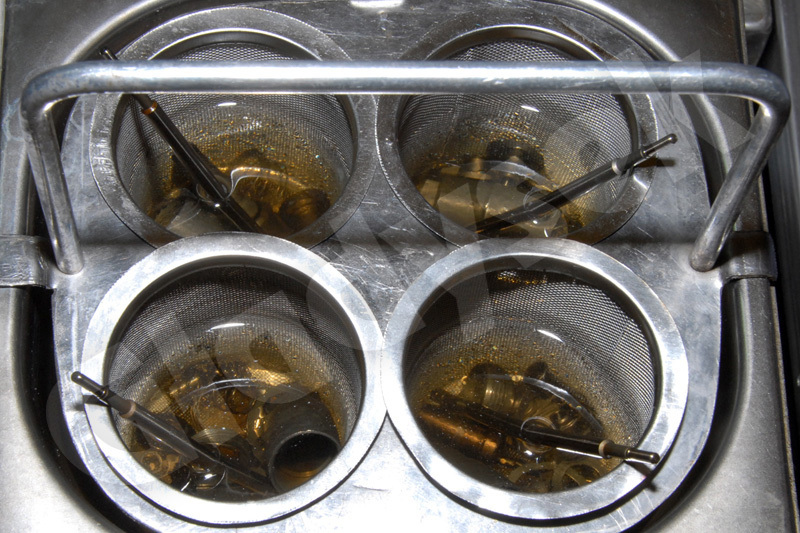 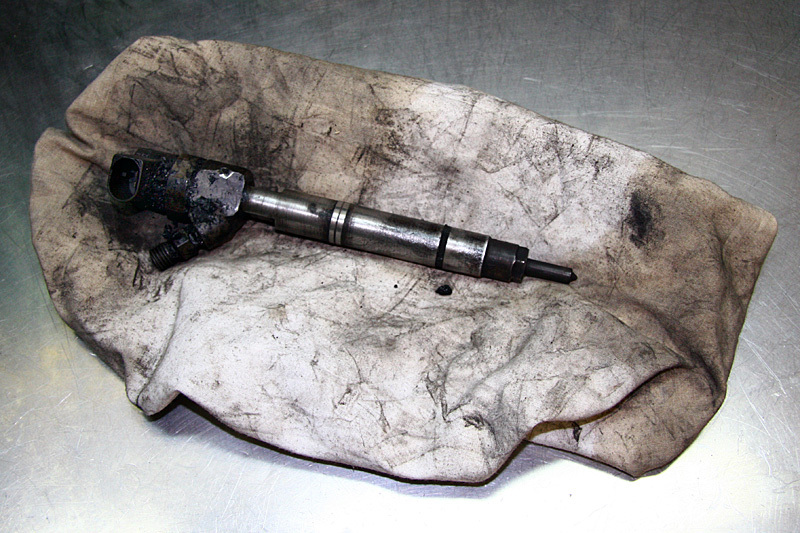 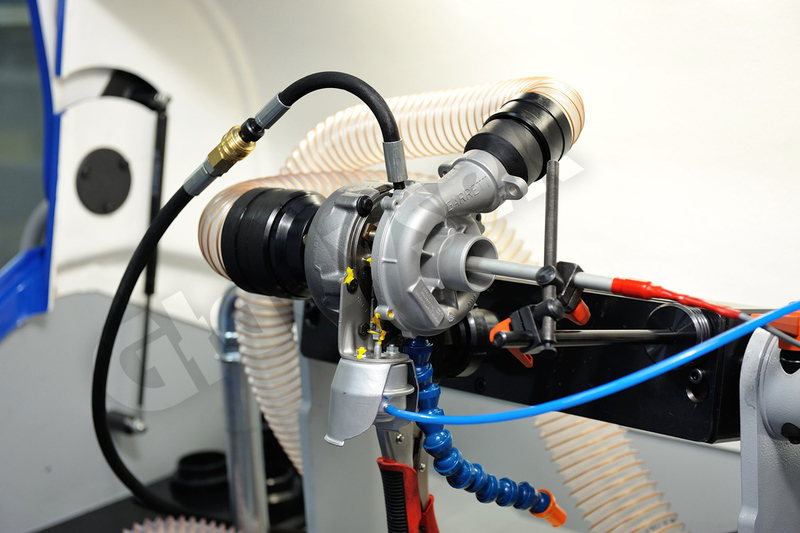 Why should we fix your injectors, pump or turbocharger? 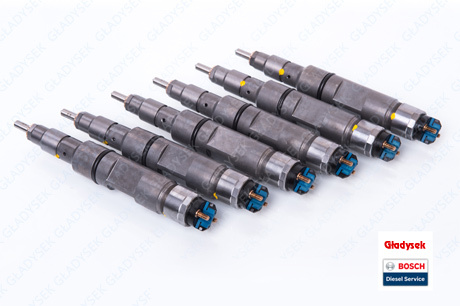 on repaired injectors, pumps and turbos in our company. 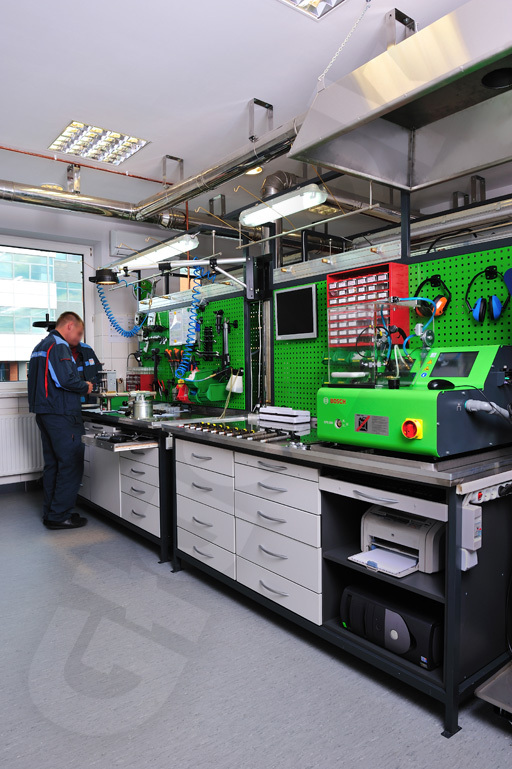 By working at the highest standards, we are confident that the reconditioned products will not disappoint you again for a longer period of time. 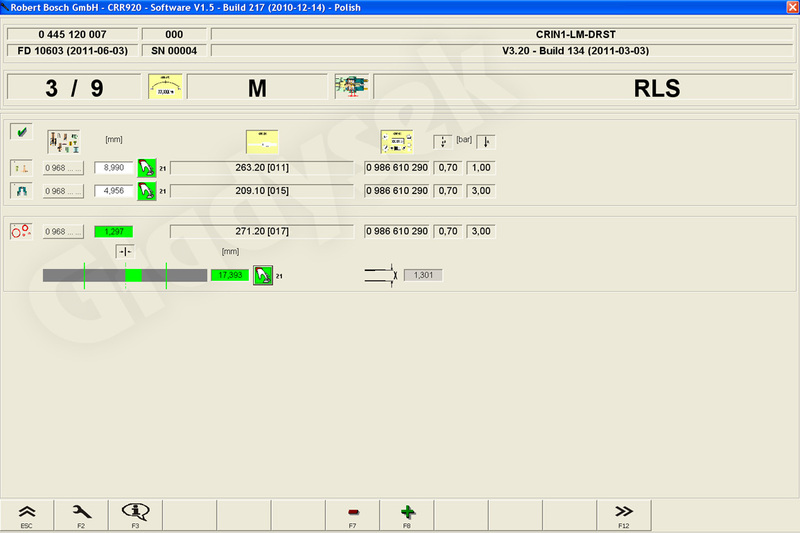 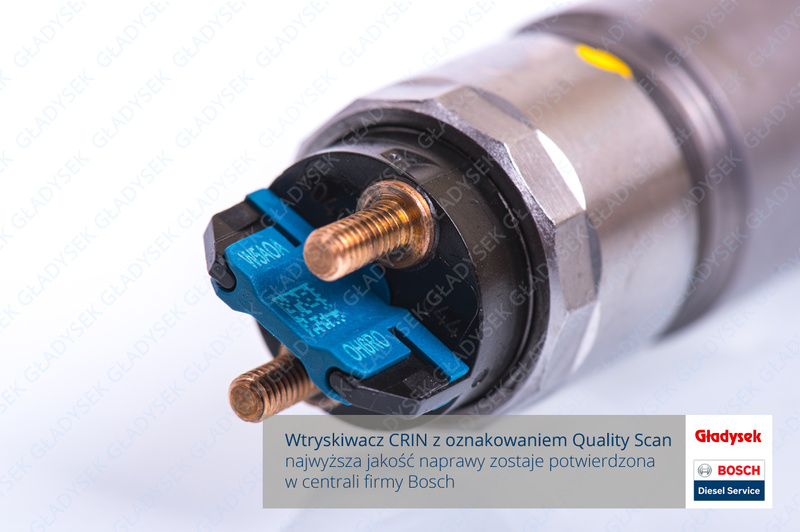 We use Bosch Quality Scan for CR on polish market. 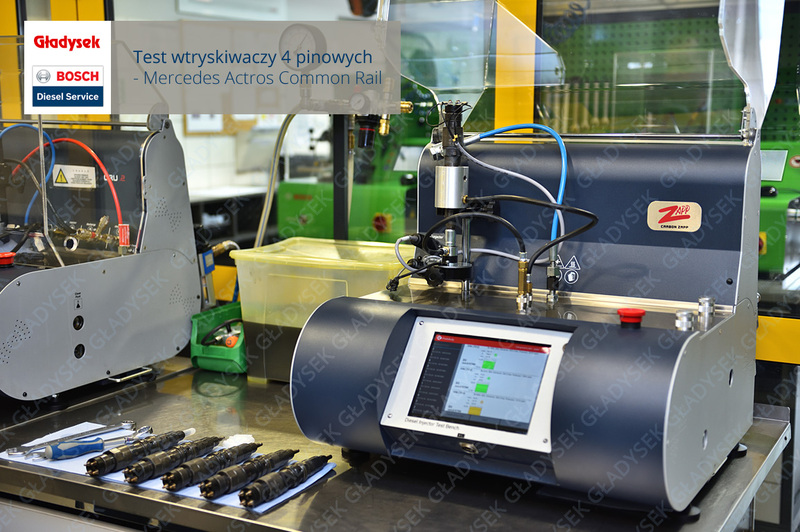 We won the first place in Poland in Bosch's Secret Customer Test. Enjoy our promotional rates. 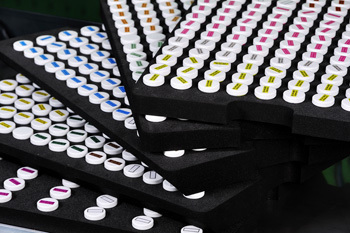 Collect points and pay with them in the next order. 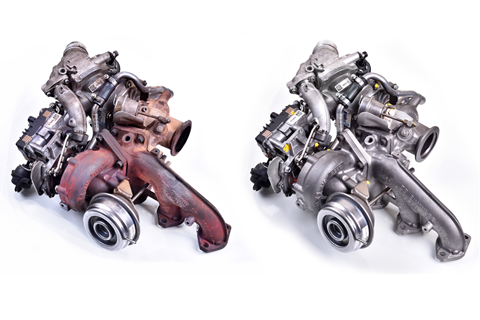 The bonus program includes injectors, pumps and turbochargers. 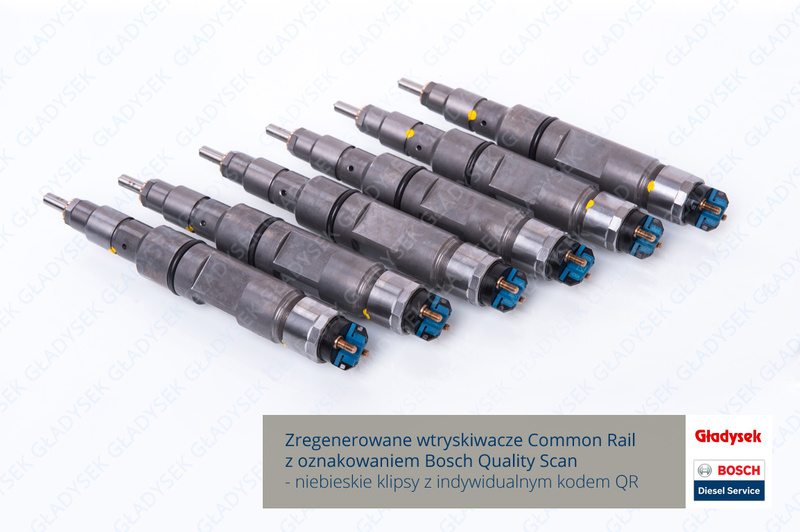 The delivery from us to customers from Poland is always free of cost. 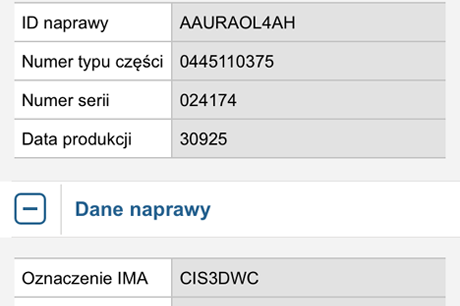 All packages are shipped by DHL. 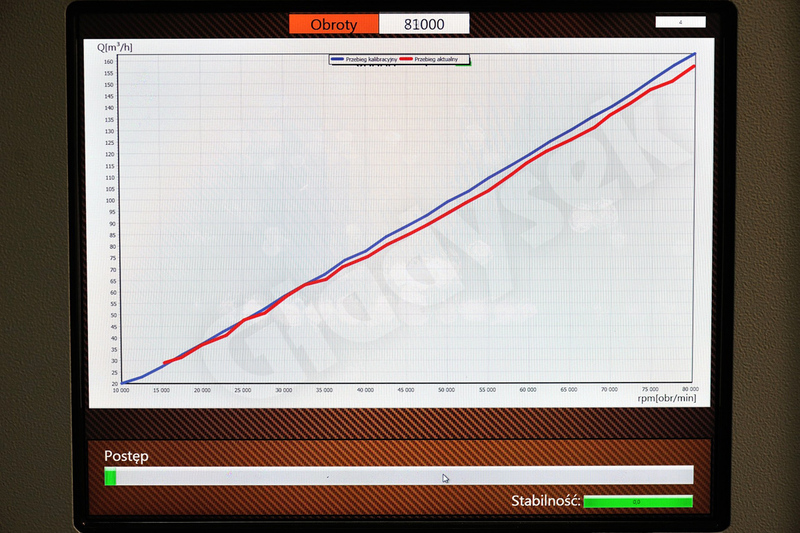 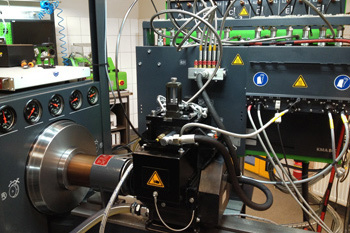 For customers from abroad we set individual conditions. 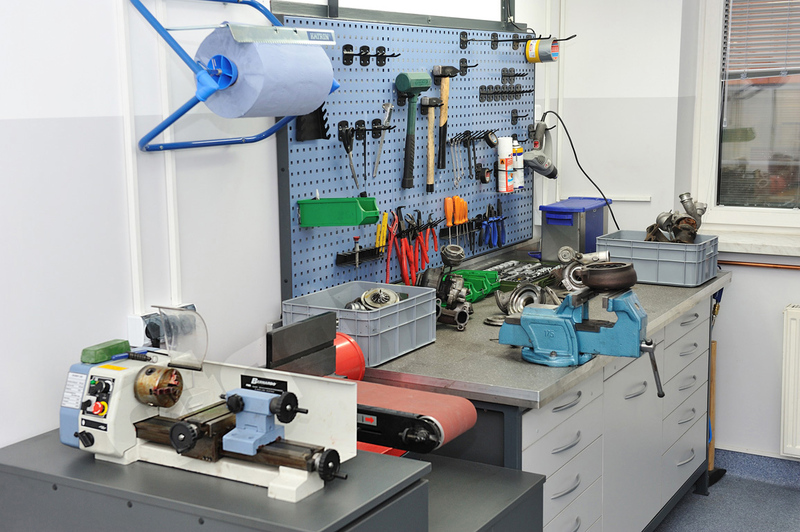 ...but we prefer this kind of work! 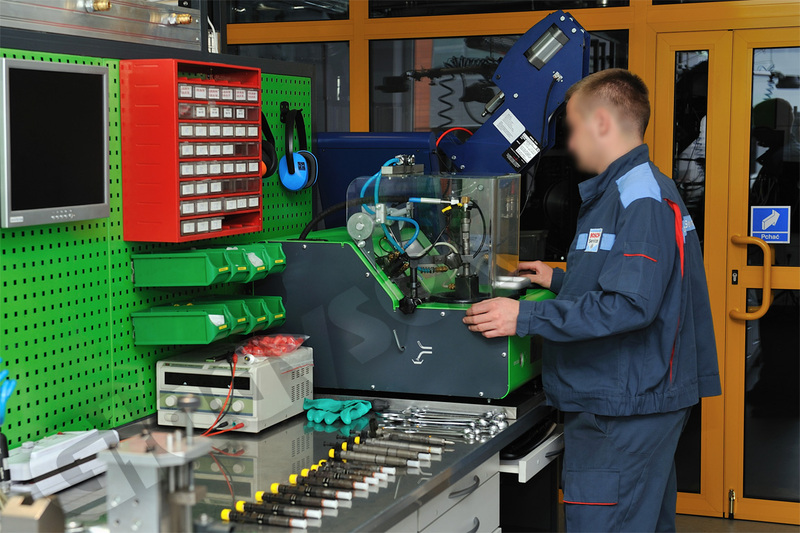 Assembly is carried out using Bosch specialized tools, vices and adapters, using only genuine spare parts, according to technology. 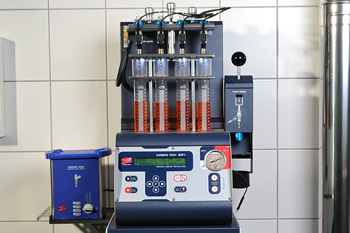 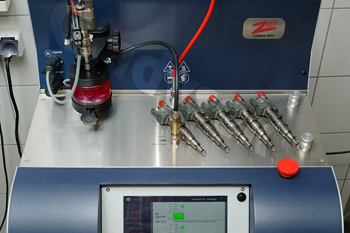 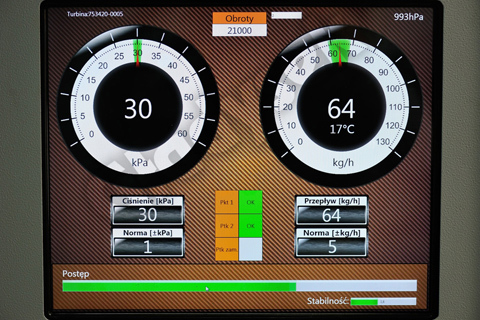 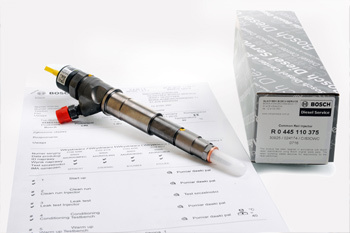 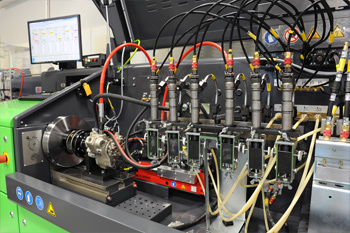 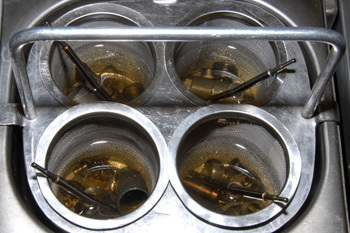 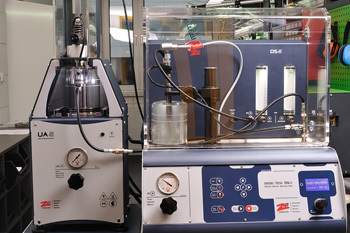 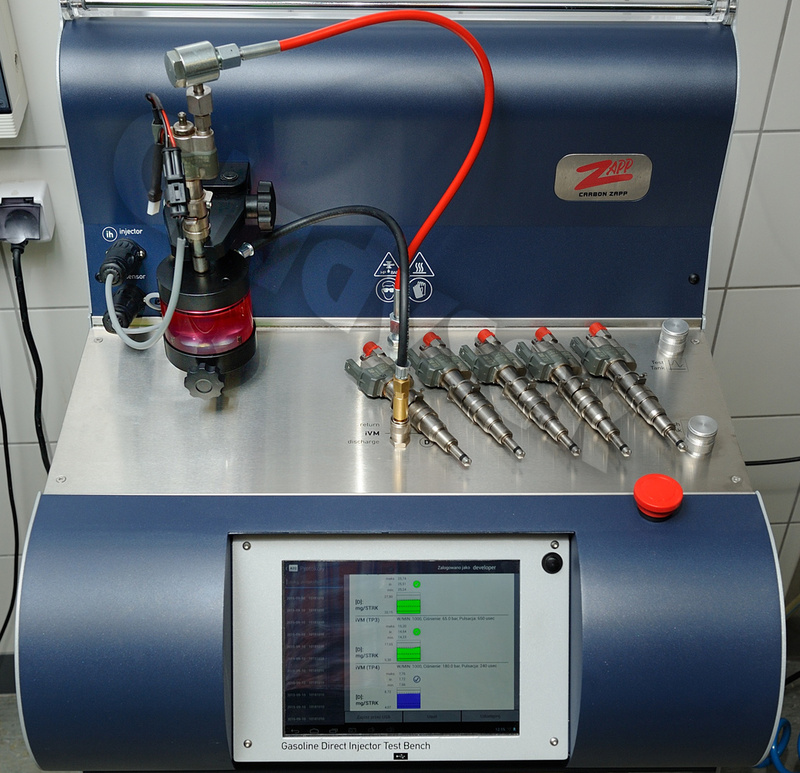 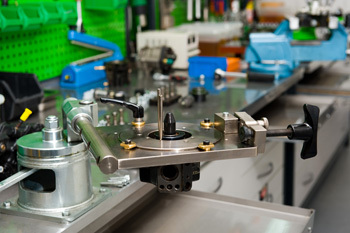 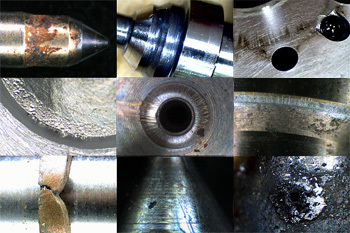 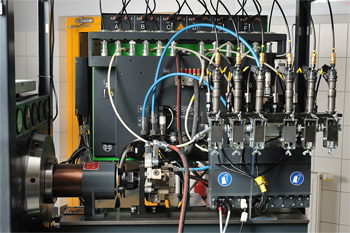 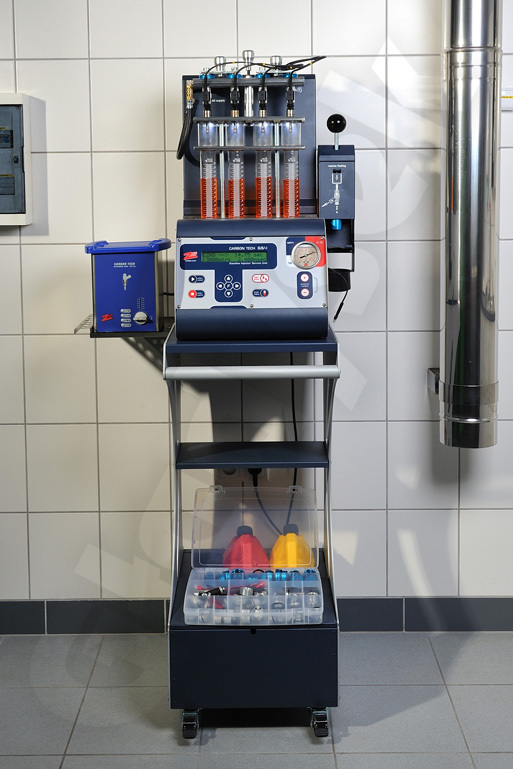 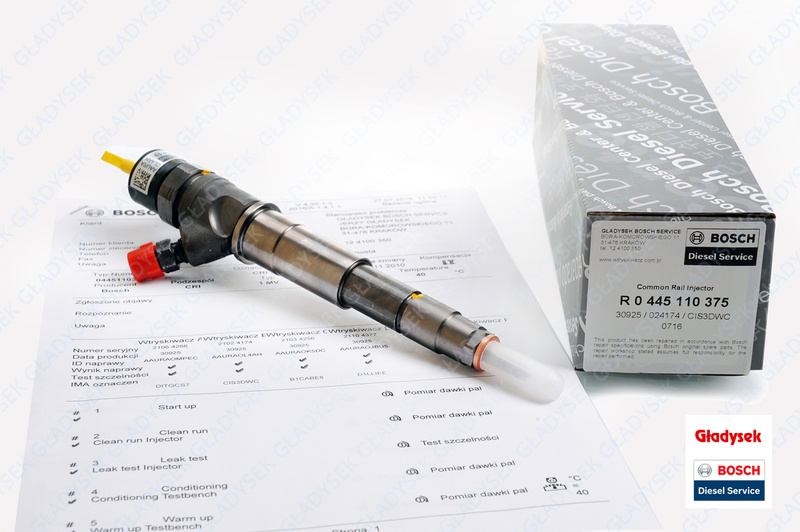 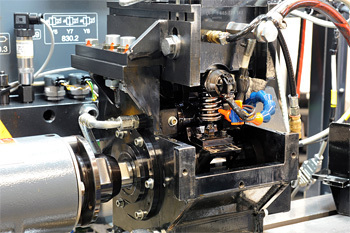 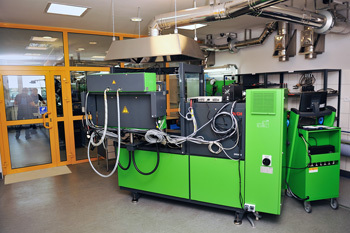 The injector adjustment process is based on a complex computer test of injection doses and overflows related to the test bench database. 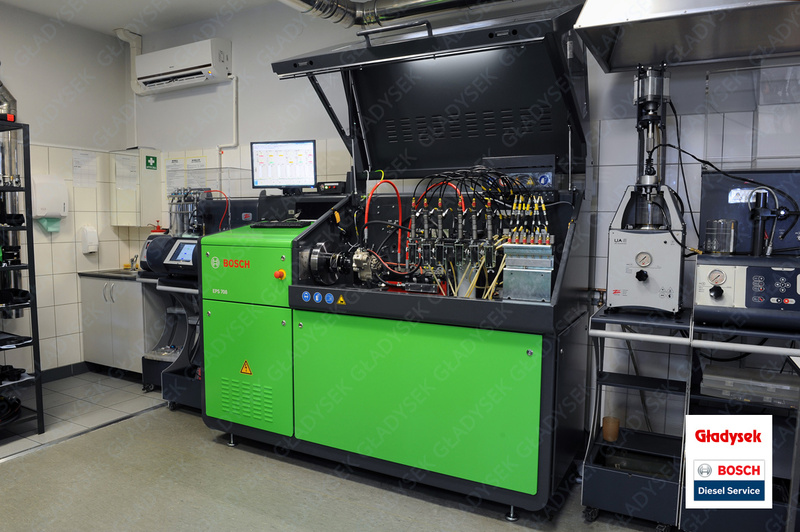 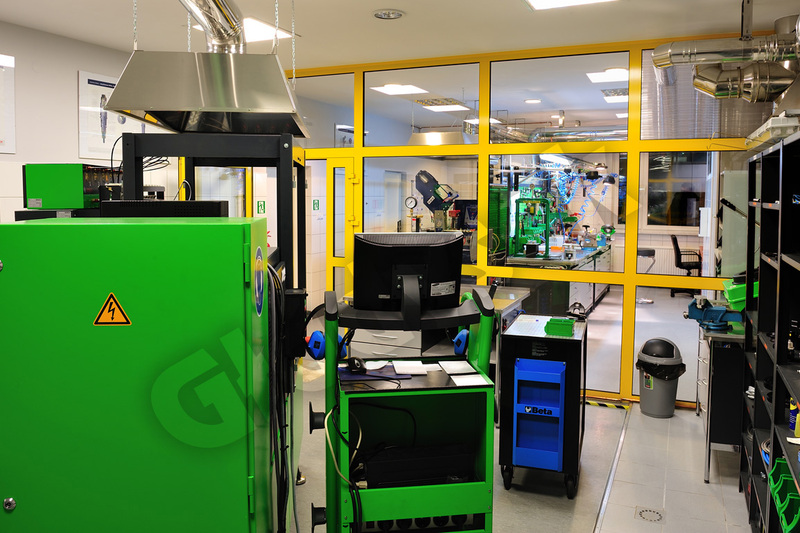 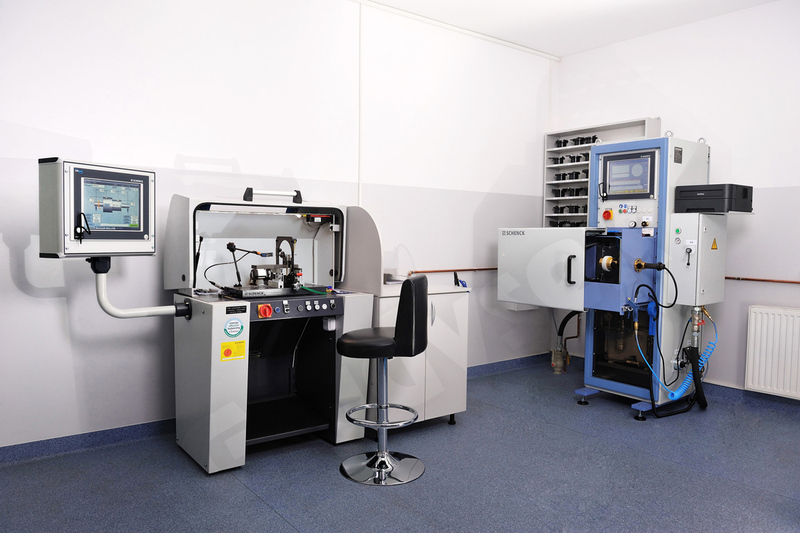 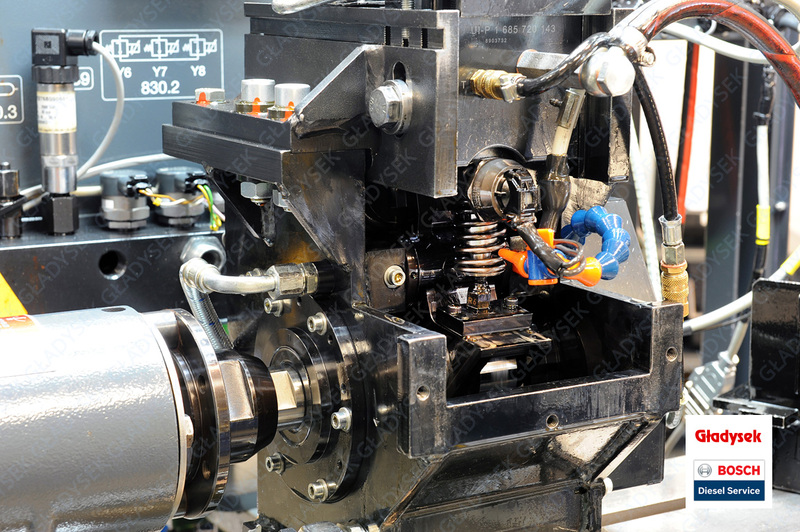 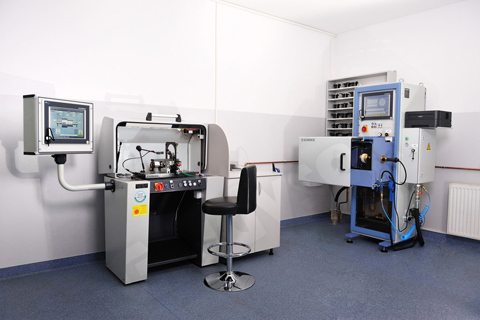 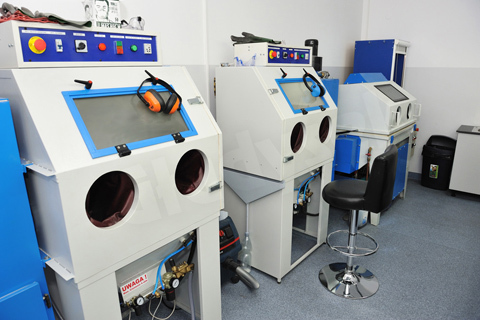 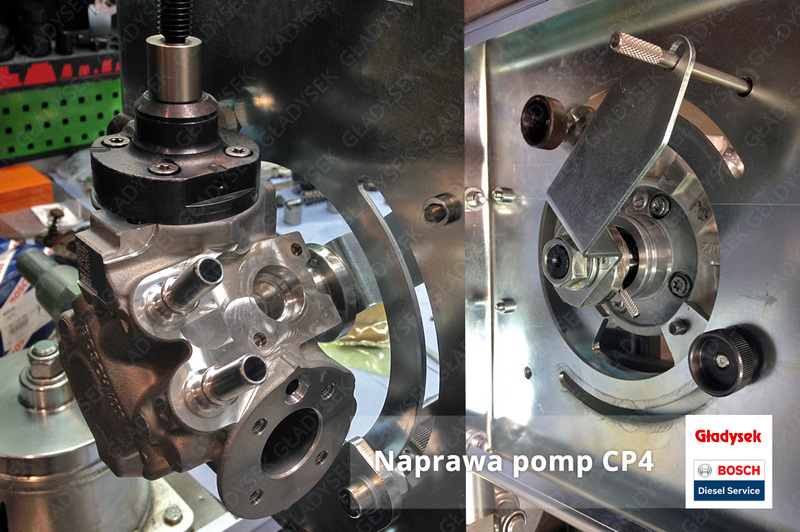 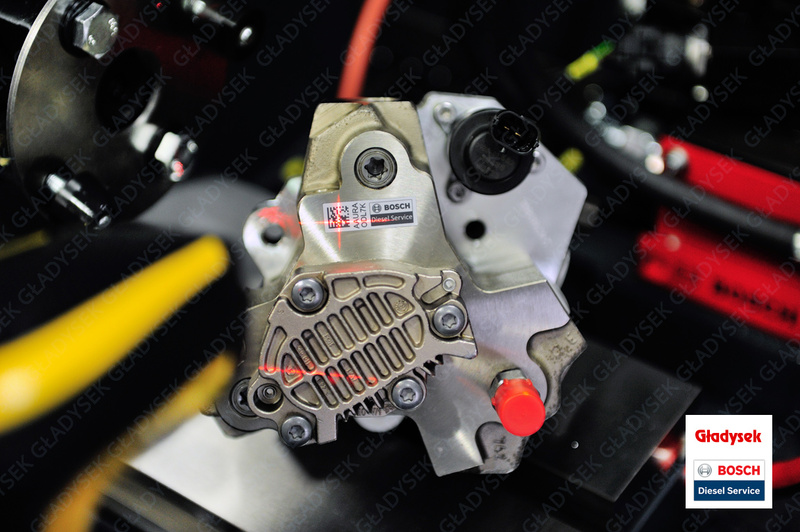 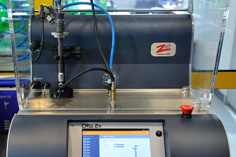 You receive injector repaired according to the technology, with the parameters printed from the test bench. 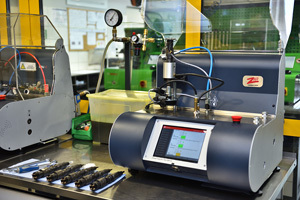 Every reconditioned Common Rail Bosch injector or pump goes through the Bosch Quality Scan labeling procedure. 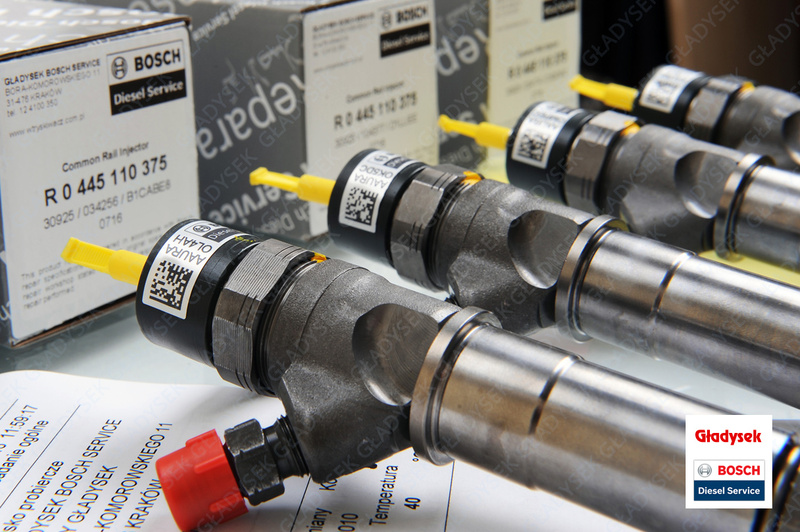 Assigning a custom alphanumeric code and a QR code to each CR Bosch component is the final repair step after the Bosch EPS 708 or EPS 815 test. 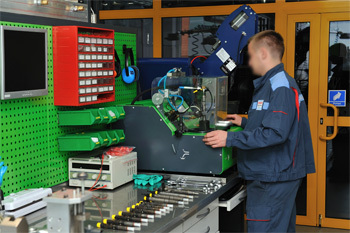 The assigned code and associated data of the repaired component are sent to Bosch's central international server. 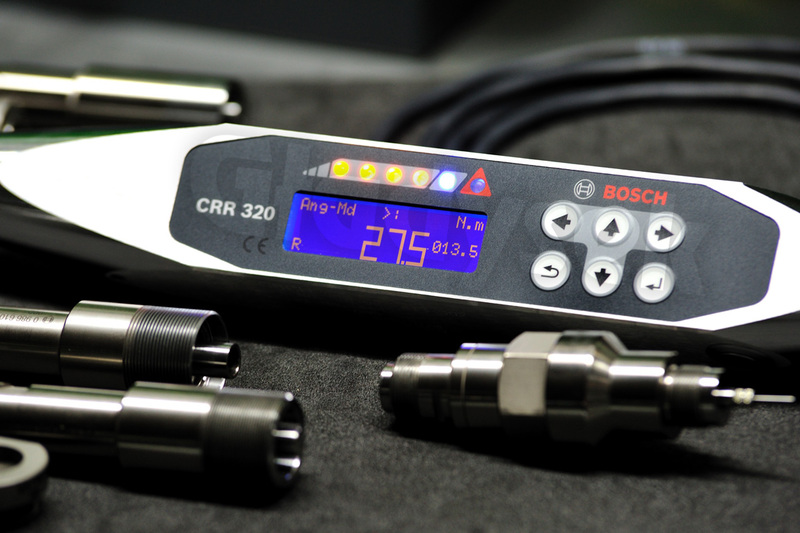 This code can be scanned using your smartphone and the special Bosch application available in the App Store or Google Play for useful information. 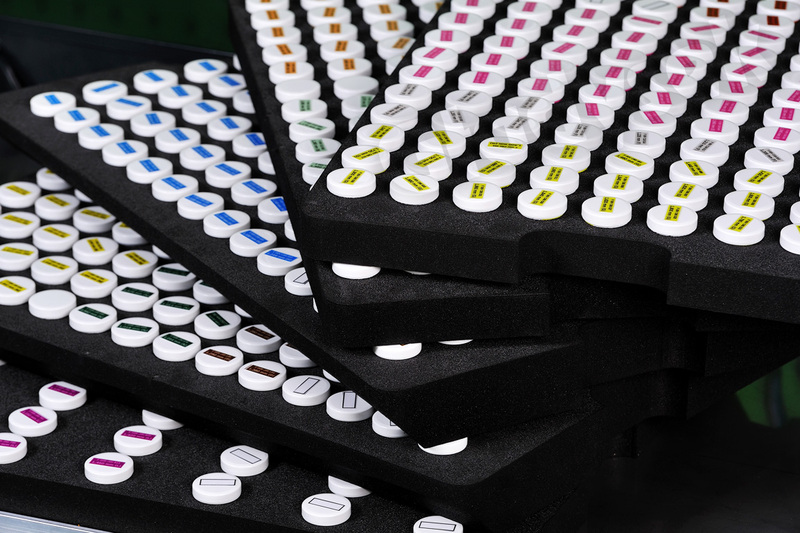 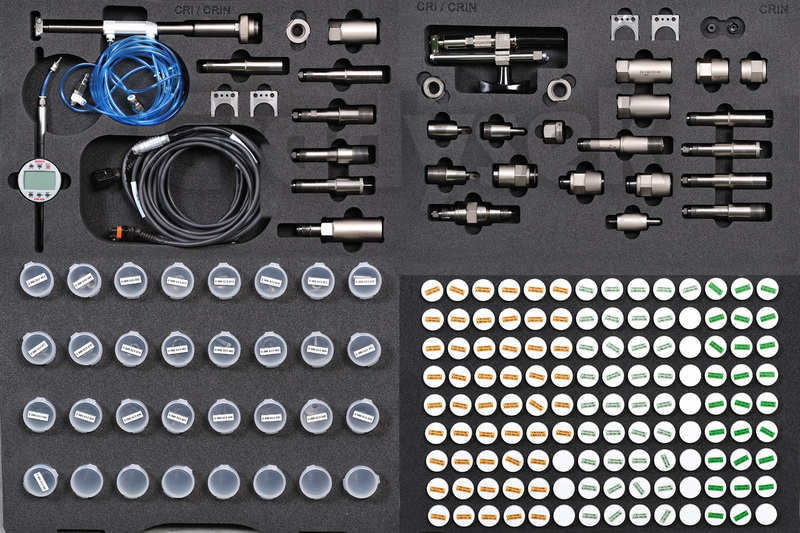 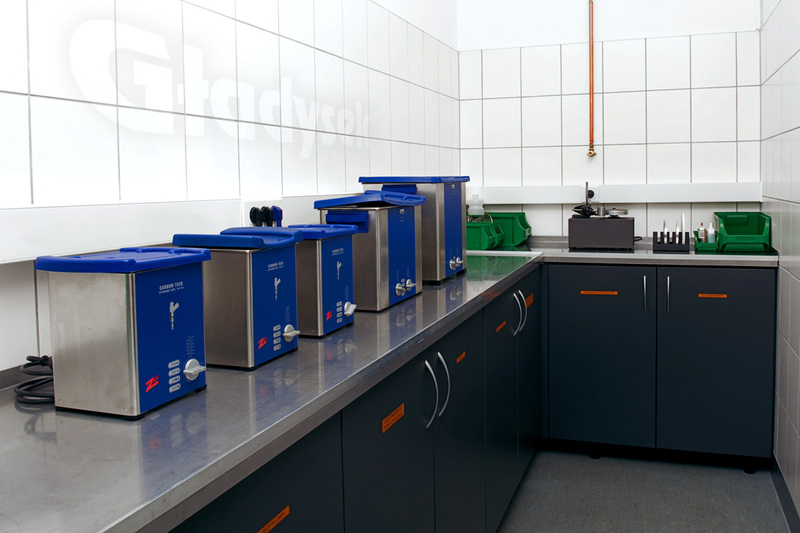 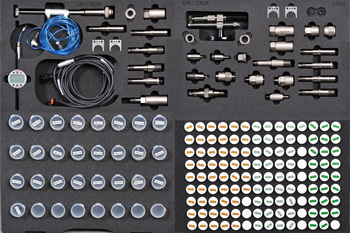 The Quality Scan quality checks for Common Rail come with individual QR codes on each component, anti-corrosive bags, Bosch EPS 708 or EPS 815 test bench report, special label boxes with all component data, including newly assigned codes. IMA in the case of injectors. 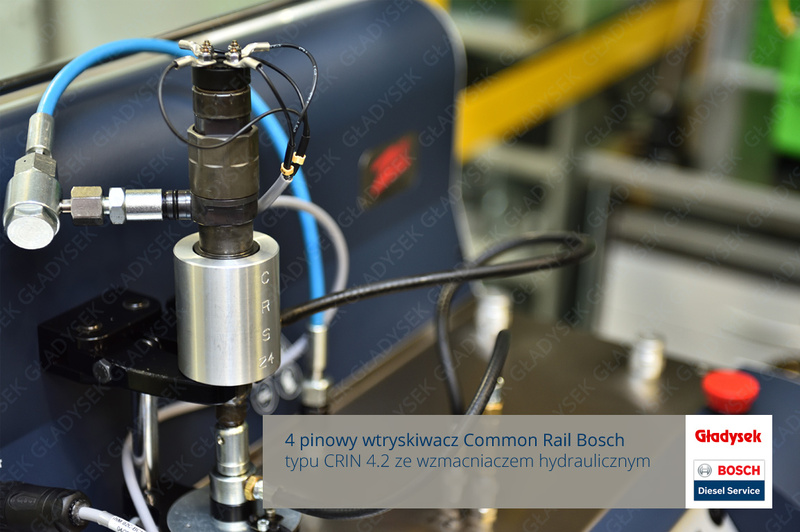 Due to Bosch policy we provide QS only for polish market. 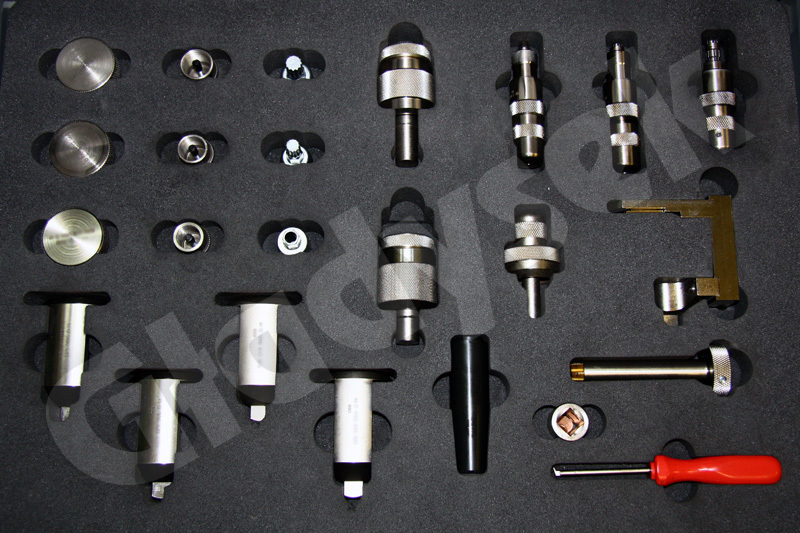 Components repaired abroad has exact the same quality but without QS sticker. 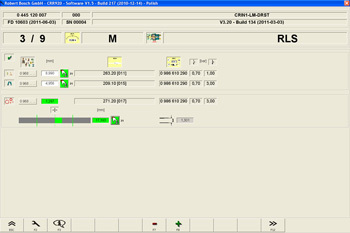 Scanning QR code to save repair data on the Robert Bosch GmbH server. 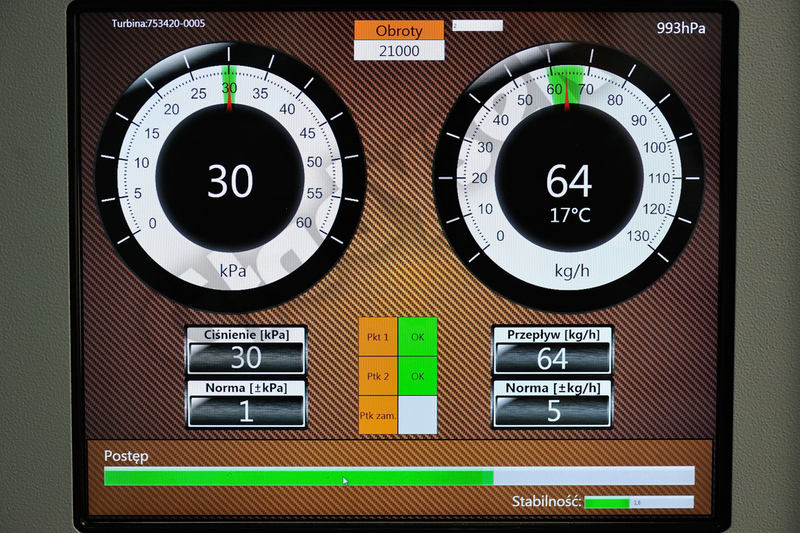 Screenshot from smartphone app. 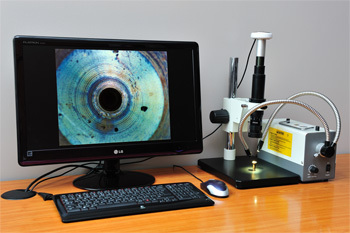 To get this data, simply scan the QR code. 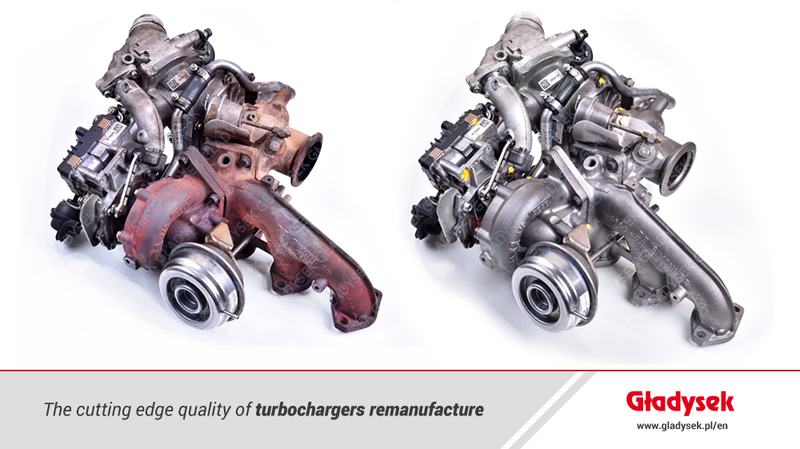 Our employees are trained in the repair of diesel components and turbochargers. 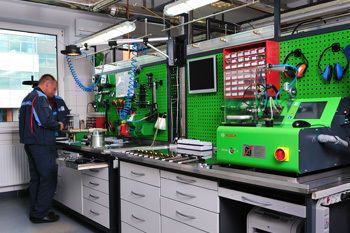 Training takes place in the Bosch education center in Vienna and Warsaw. 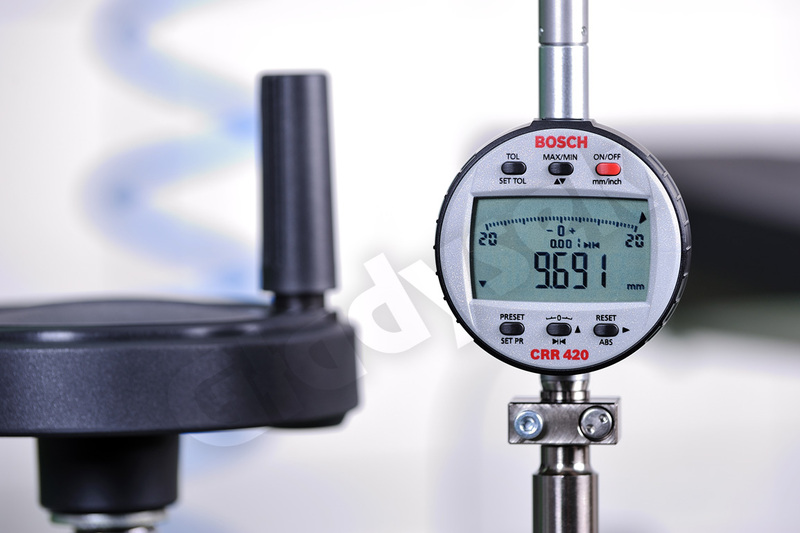 Our company has implemented the ISO 9001: 2008 quality system. We work with Bosch's best tools and test benches. 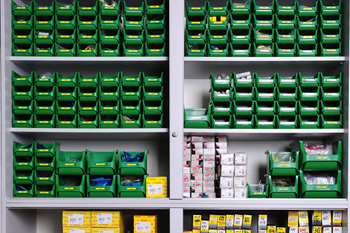 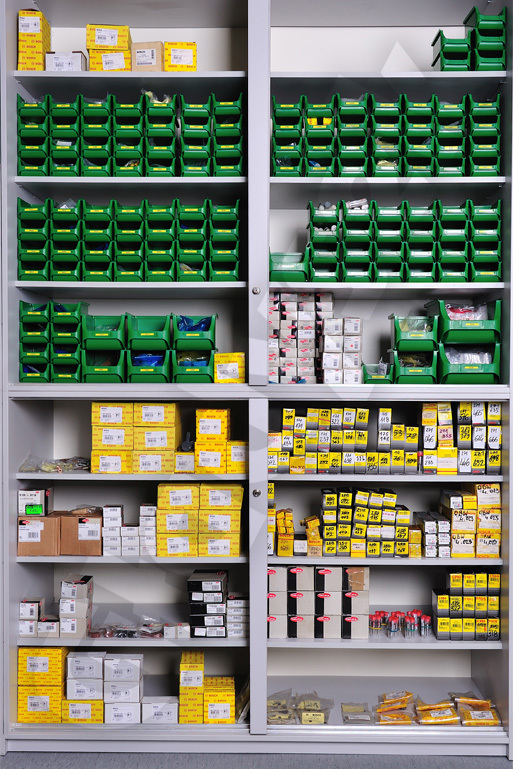 We have a large selection of spare parts, which completes the repair process. 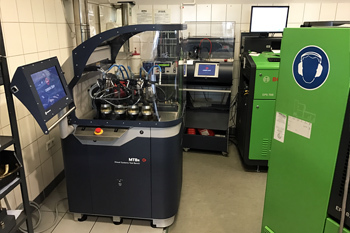 We work with the most advanced diesel test benches in the world: Bosch EPS 815 on the left and Bosch EPS 708 on the right. 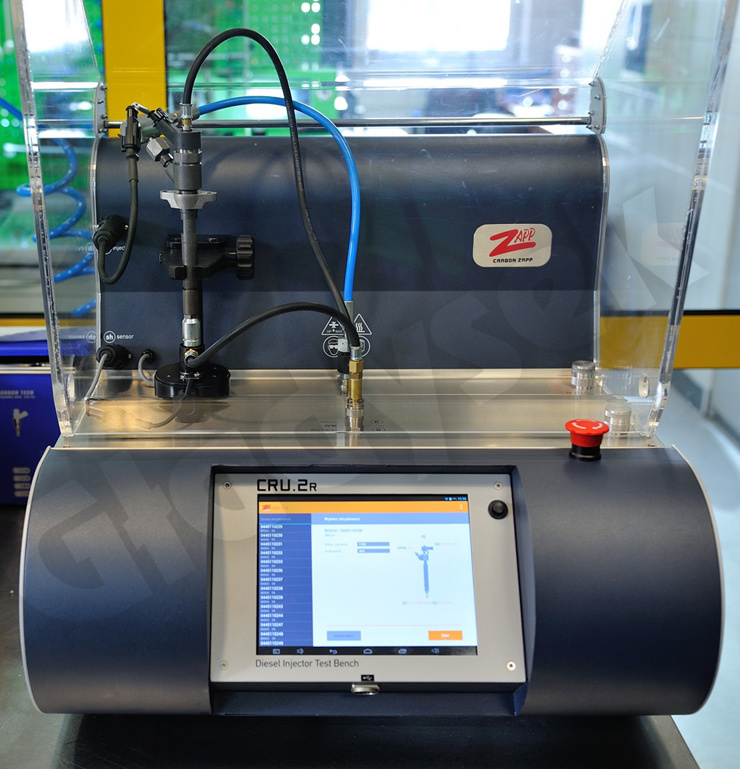 Bosch EPS 708 test bench and Carbon Zapp equipment for FSI injectors and unit injectors. 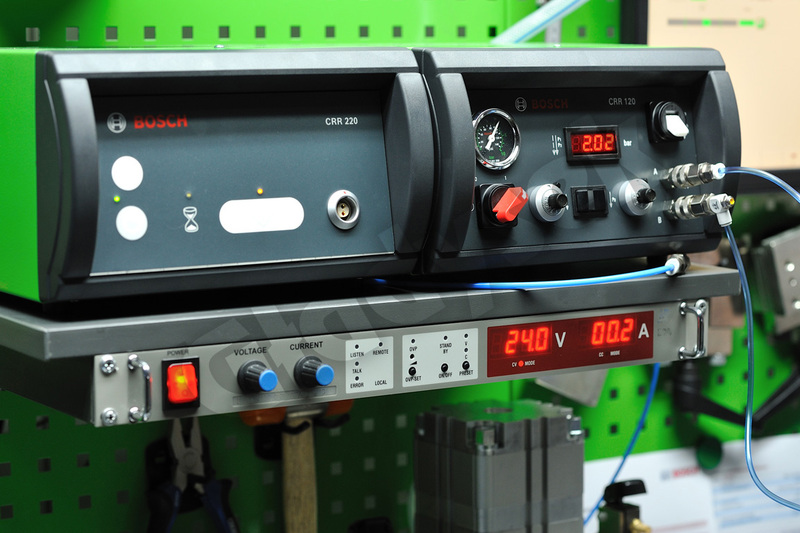 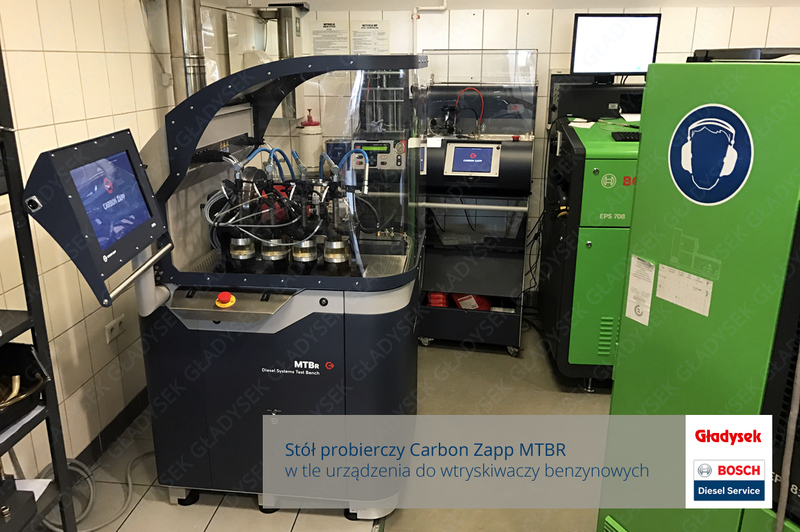 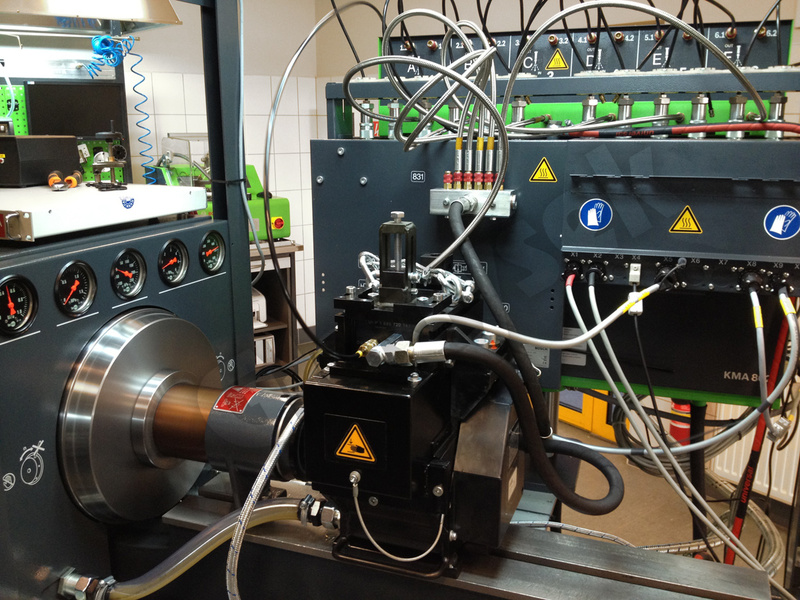 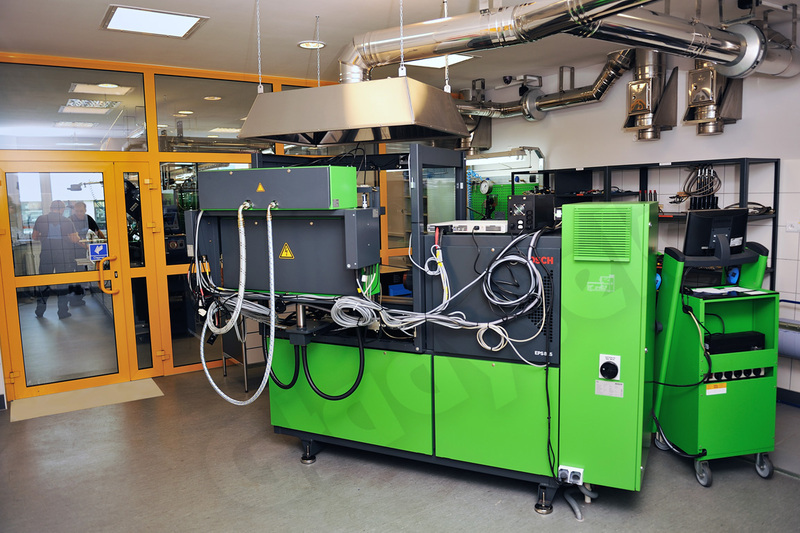 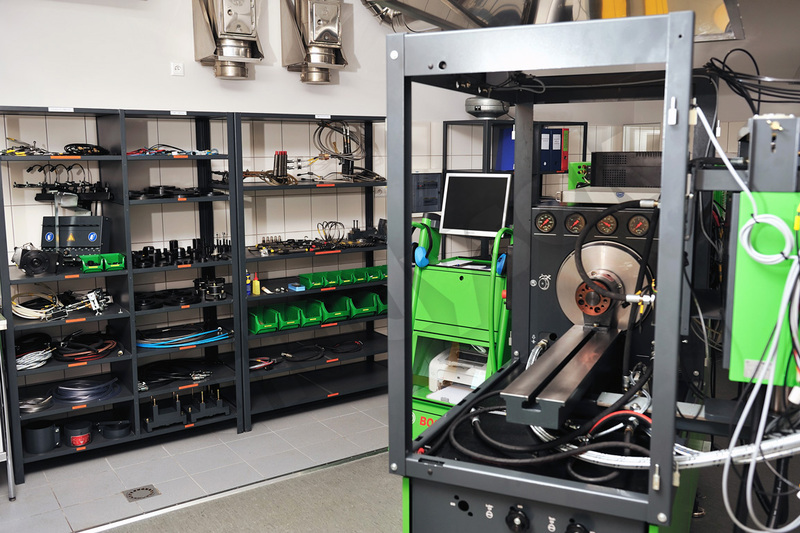 The new Carbon Zapp MTBR-E test bench with a wide range of diesel components testing features. 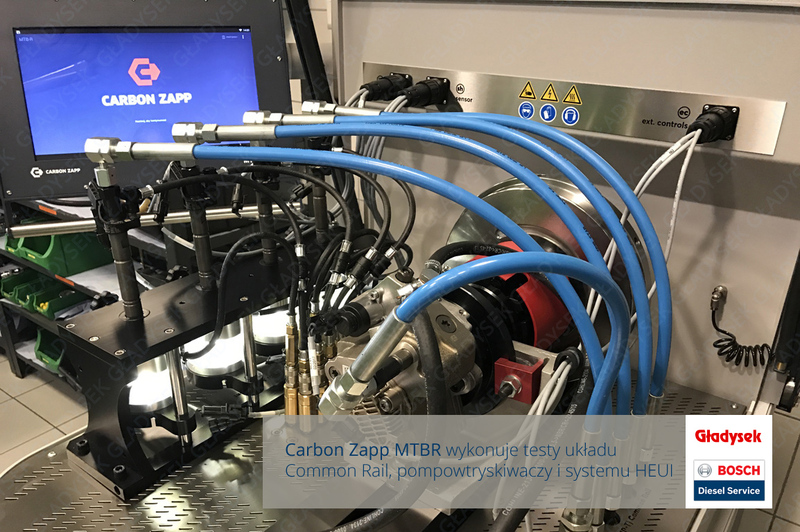 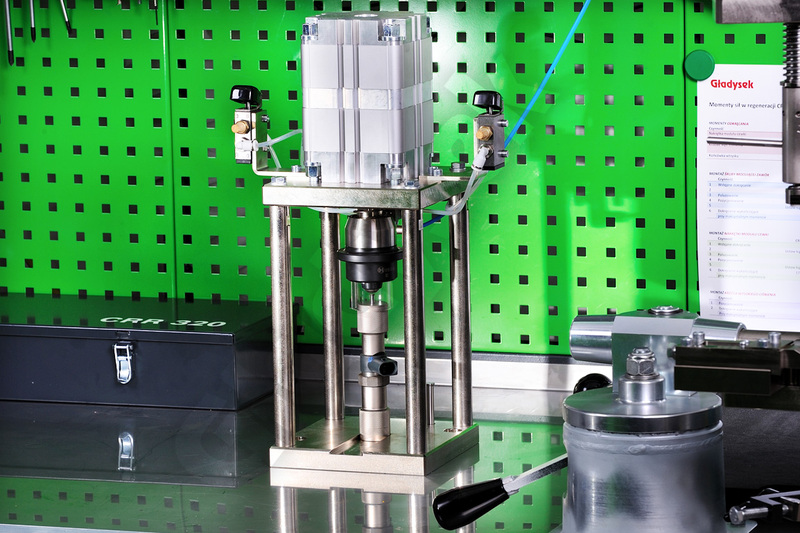 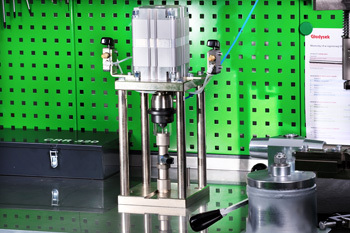 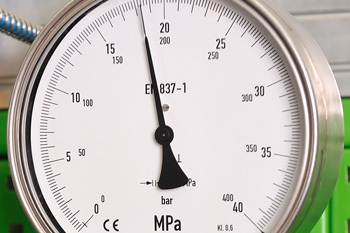 Carbon Zapp MTBR-E tests Common Rail injectors & pumps as well as unit injectors and HEUI systems. 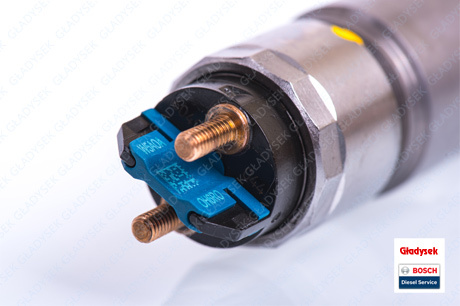 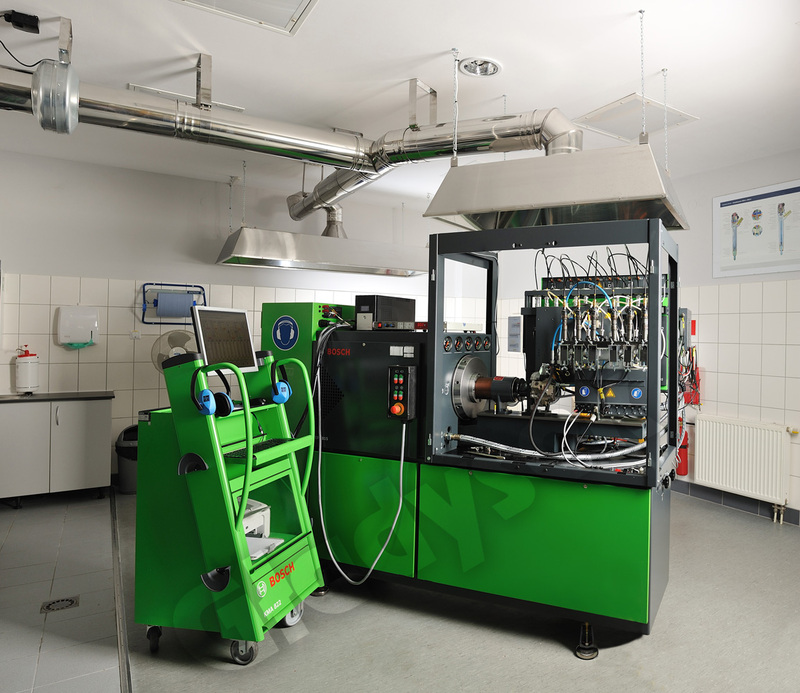 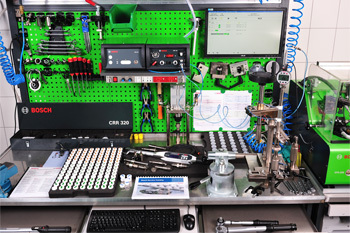 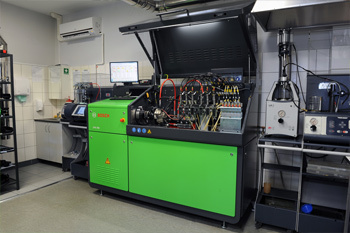 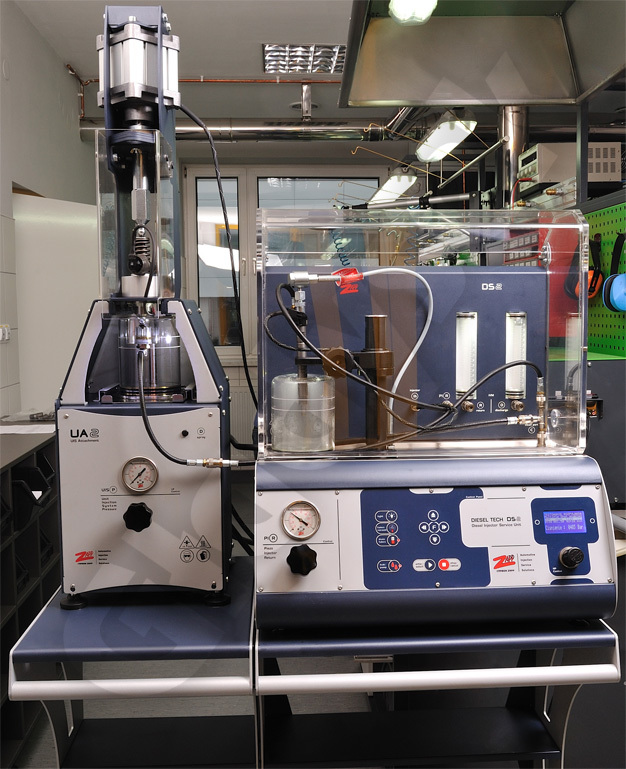 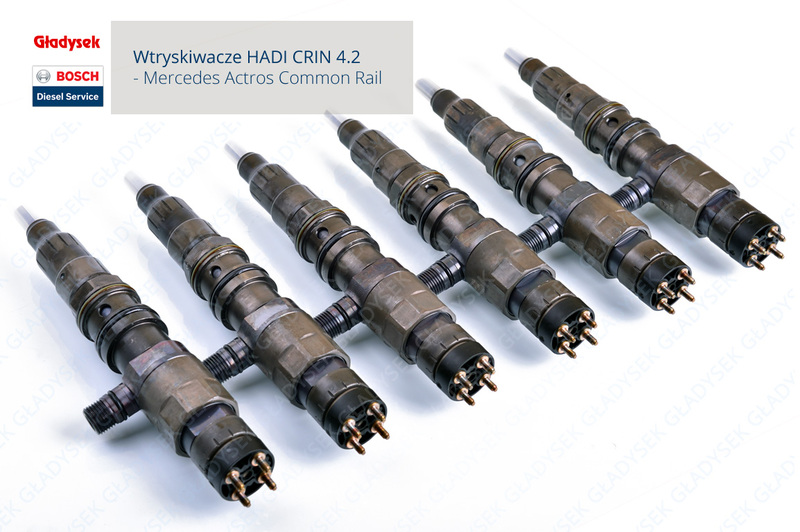 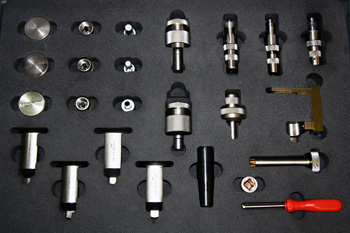 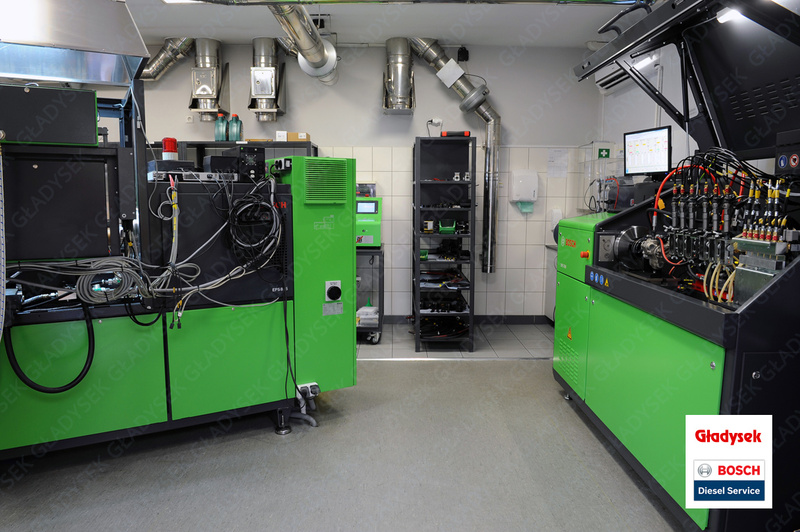 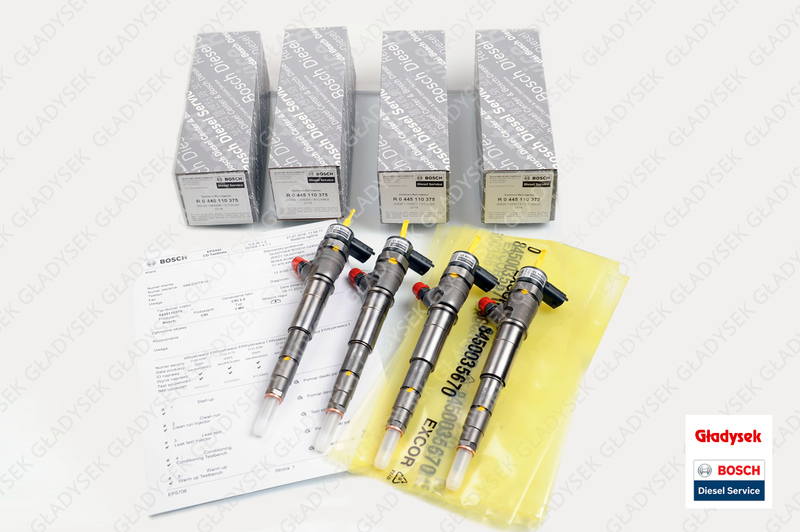 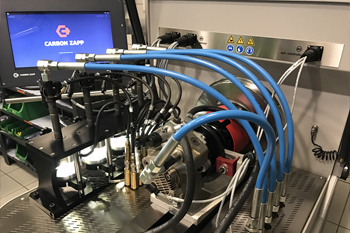 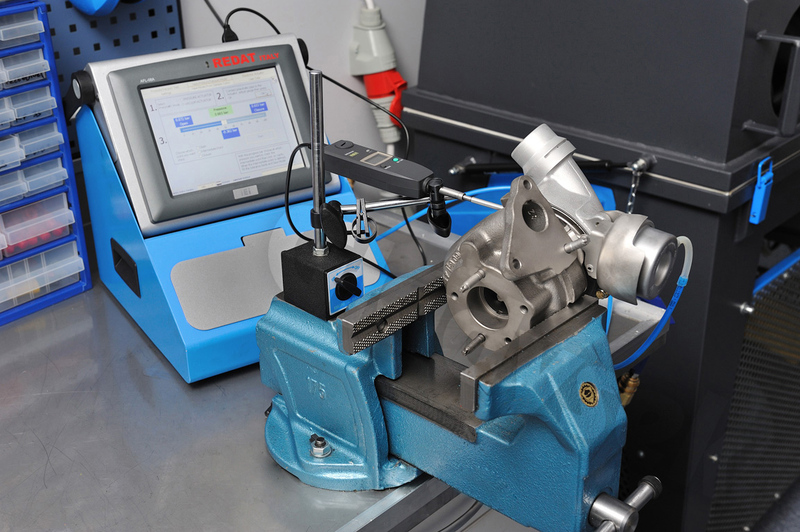 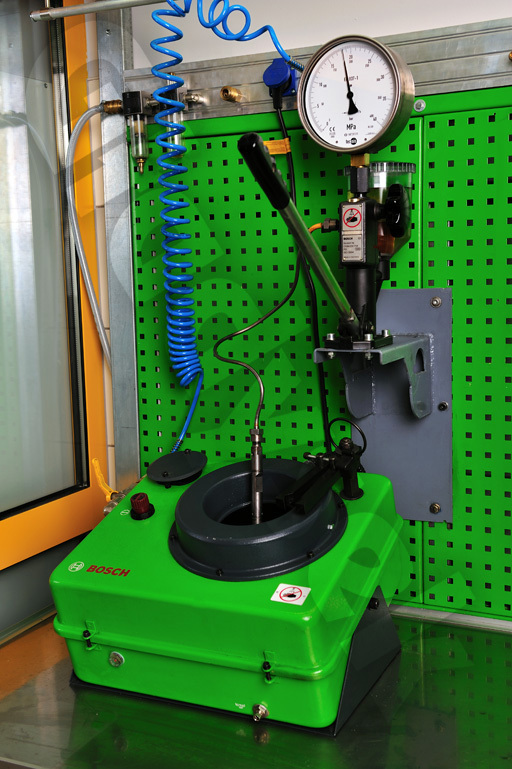 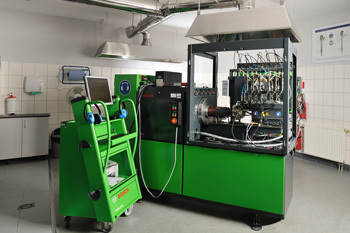 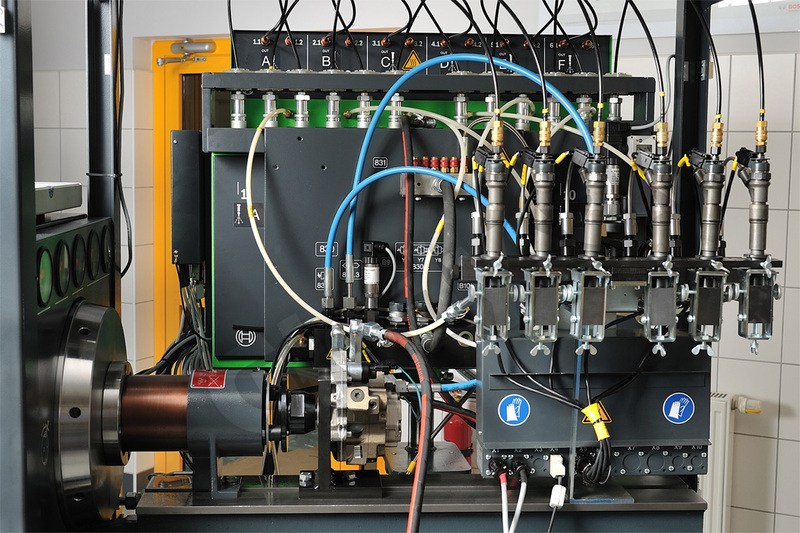 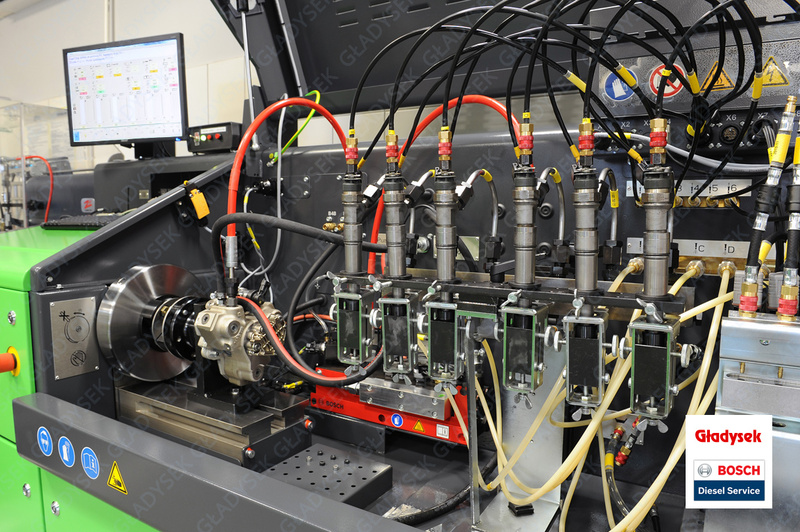 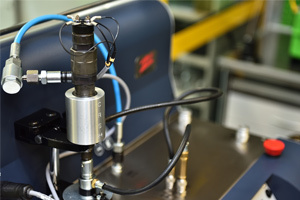 Calibration and assembly of the injector according to this technology qualitatively corresponds to the production of new Common Rail injectors in Bosch factories. 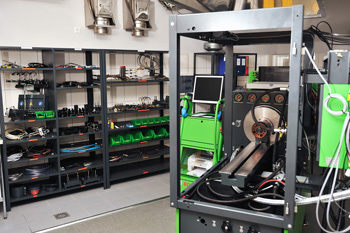 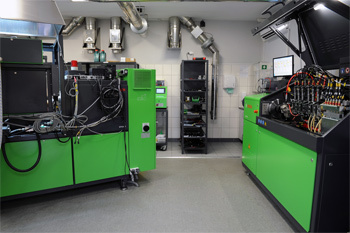 Our extensive machine fleet allows for a wide range of reconditioning services. 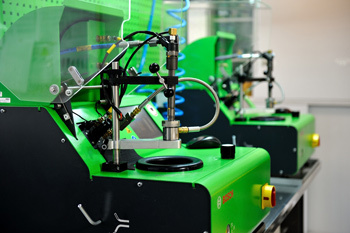 We are passionate about continuous development. 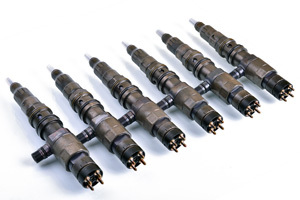 We also service injectors of the latest constructions. 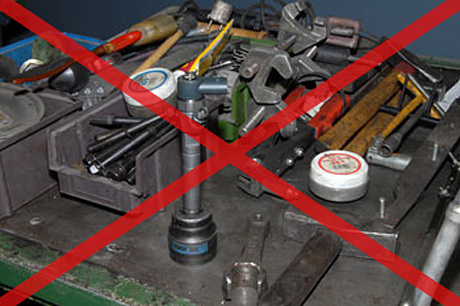 Open your own diesel workshop! 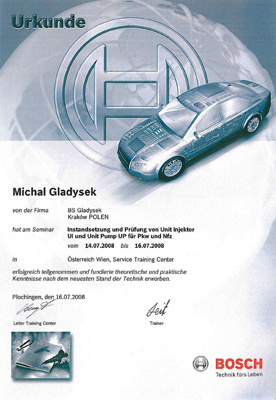 © Copyright Gładysek Bosch Service. 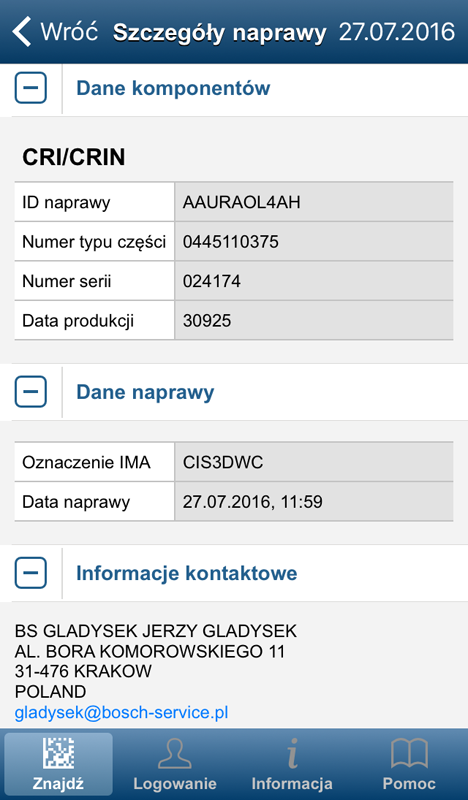 The text and images contained on this site are the property of Gladysek Bosch Service and are subject to copyright.